Start Something, the CED Blog: Congratulations to SQBK! 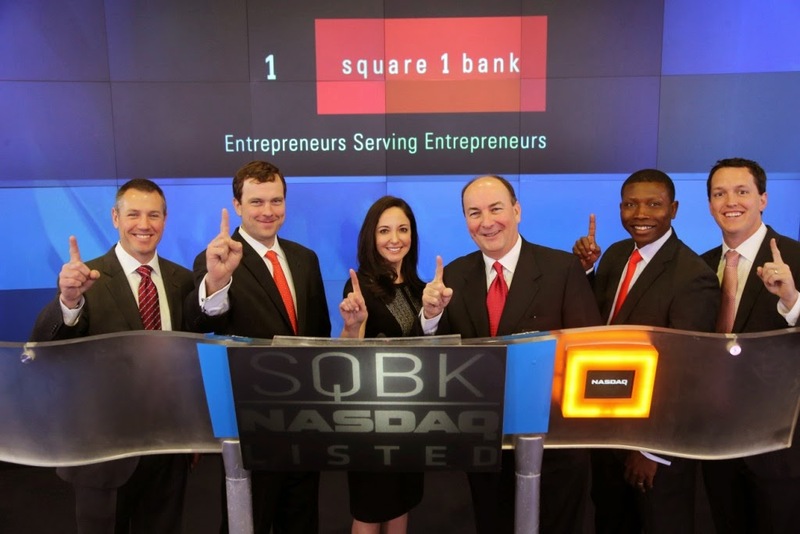 As many of you know Durham's Square 1 Bank went public March 27, 2014 on NASDAQ (SQBK). 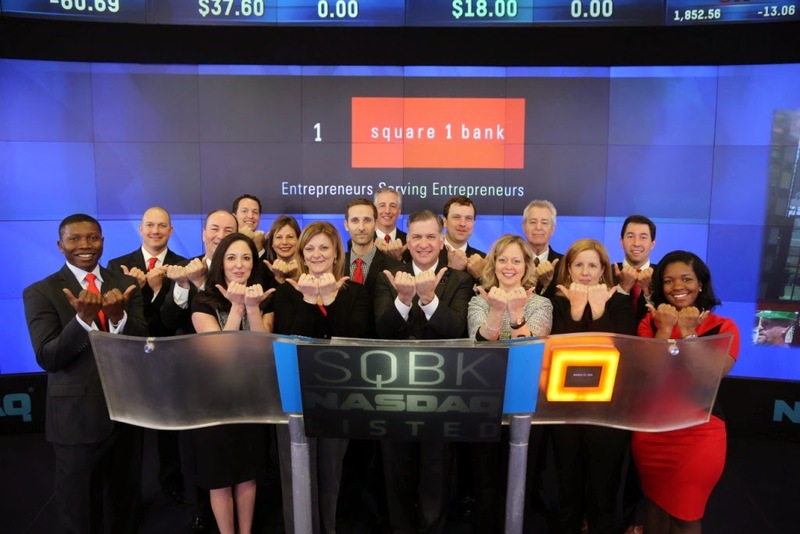 CED is extremely proud to have Square 1 Bank as a member and great supporter of entrepreneurs. The bank has supported us for many years through membership, sponsorship, service on the Board of Directors and conference steering committees. Not to mention, banking and providing essential capital to many of the area's most promising companies. Thanks to Square 1 Bank Vice President Zack Mansfield (CED alumnus) for sharing this photo of the team representing Durham on the big day in NYC! Square 1 Bank also created a thank you video for all its clients/friends around the country: http://youtu.be/FHuMKfUWOuw. Take a look! Congratulations Square 1 Bank from your friends at CED!